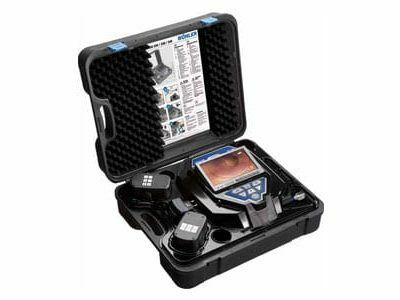 The Wöhler VIS 340 is a full color visual inspection system that helps detect problems before they occur. The Wöhler VIS 340 is used in a range of applications, including pipes, air ducts, chimneys, vents, cracks, welding seams, gaskets, and manholes. The 1.5” camera fits just about anywhere. 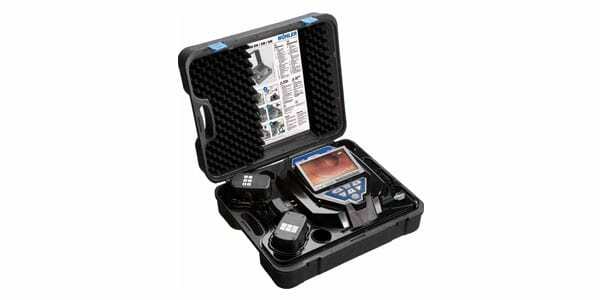 The heavy duty carrying case and waterproof camera ensure durability even in demanding production environments. 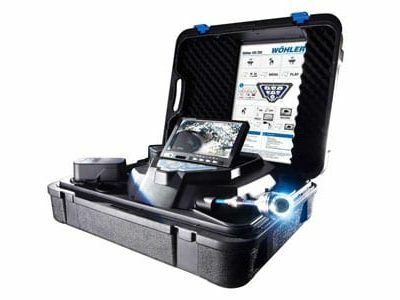 View the inspection area clearly on the widescreen TFT monitor from the bright light built into the 180˚ panning and 360˚ tilting camera head. The visual inspection system also includes a new recording function that allows the user to save movies of the inspection on a memory card for later replay.